Regular price $219 weekends, $199 weekdays. Save $20 when you pay in full online today! Prebook your jump options here (repeat per person up to 4 people). If you want to skydive today, call us at 800-533-6151 or come on out by 4:30 pm! I understand that the time I selected is my CHECK-IN time, not when I will be skydiving. 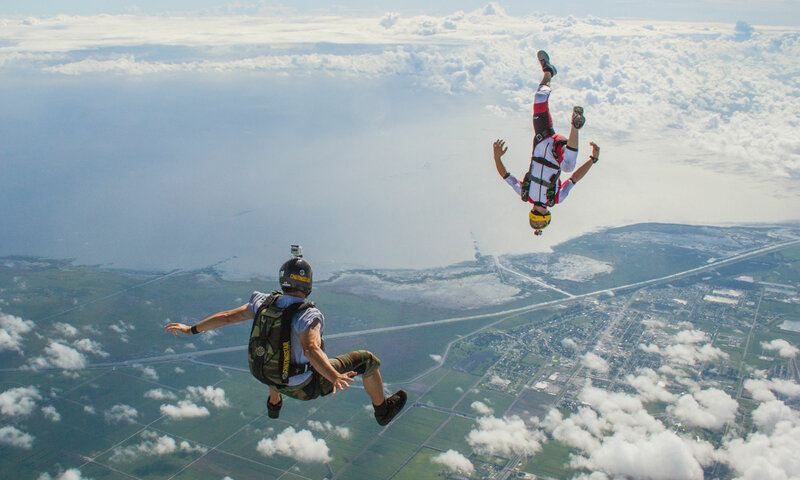 A Tandem skydive adventure allows you to experience the thrill of a lifetime! 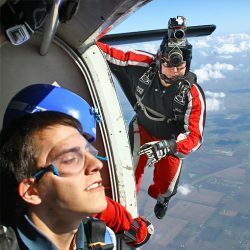 Jump out of a perfectly good airplane from 14,000 feet! Get a professionally edited tandem skydive video and photos to prove you did it and relive your experience of a lifetime! Don’t forget to capture your tandem skydiving adventure forever with our professionally edited DVD video of your jump, plus high-resolution still photos! Our experienced videographers will document your skydive so you can relive your experience of a lifetime (and prove that you actually did it!) for only $139 plus tax. Note: You must be at least 18 years of age, bring a valid photo ID, and weigh less than 280 pounds to tandem skydive. 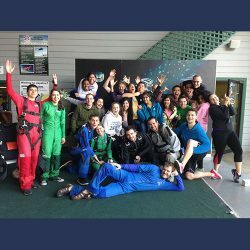 For more information about who can skydive, what to wear, and more, please see our Frequently Asked Questions page.